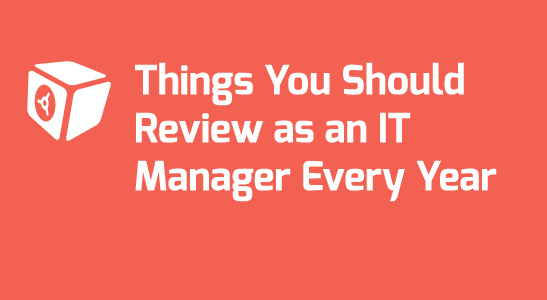 The job of an IT manager is tough, especially in this increasingly digitalized world. The entire responsibility of Information Services deployed in a company lies entirely with in the IT department and its manager(s). IT Managers have to take adaptive measures according to the new and emerging technologies, replace or upgrade the existing EOL software without disrupting the available budget, and not to mention hire and retain IT talent. This means, IT managers may face a fair share of challenges. Acquiring and retaining top-performing employees is a major problem today, and going forward, it wouldn’t seem to be offering any respite either. To ensure that the best talents stay within the company, and the ones who are performing poorly are let go sooner than later, managers need to buckle up and take control before it’s too late. Various studies have shown that there has been a shift in the motivational factors that matter to the employees. Monetary perks, such as raise in salary or bonuses, etc. are no longer as efficient as they used to be. Instead, what matters more to the employees is the job comfort and a sense of purpose. Many times talented employees want to switch jobs, but when no promotion or growing is not an option or they can’t get what they are seeking within their current companies, they leave and join another company. As an IT manager, you can prevent this from happening by reducing the communication gap between you and your employees. Do talk to all employees under your team on a one-to-one basis, whenever you get a chance. Get to know them better, and pay attention to their problems on an individual basis. It has been proven that when employees get personal attention and appreciation their direct managers and their executives, it can work as a powerful incentive. The SaaS model is growing at a rate of 15% to 20% every year, and it can easily take over more than 25% of the entire software market within the next 5 years. In fact, big companies such as Adobe have already embraced the SaaS model a full 100%. Thus, it makes sense to see how SaaS stacks up against the Licensing model for your business. Software regularly audited to meet compliance guidelines. It is difficult to find a reliable MSP or other cloud service provider that can provide a high level of virtualization and data protection measures. If your business goals are changing every year then consider this as a good sign. As new technologies are emerging, you need to stay sharp and adapt with time. That being said, conducting a yearly roundup is indeed a good way to go about it. On the surface Exchange 2016 may look exactly like Exchange 2013. However, there are several new features that have been added to this version while many have been removed as well. Of all these changes, the cloud functionality is certainly the most welcoming one. Now, you can collaborate with your team, share files, and events easily on the go. Whether you are a seasoned Exchange administrator, or have just started using Exchange 2016 recently, you’ll find the information below useful. Migrating to a newer platform certainly has its benefits. Therefore, it is better to take a second look at your recovery plan. How confident are you with your data recovery plan? What if a server fails during the migration process, or the network goes down, due to power outage or server failure, even if briefly? Like it or not, things like these happen every day. Thus, you must proceed with caution. Make sure you recheck your disaster recovery plan and see if there are any vulnerabilities. Begin the migration process only when you are 100% confident. It is a good idea to configure any antivirus programs that are running on your Exchange servers to exclude certain file types, paths, and process. This will greatly reduce the server downtime and chances of errors during migration. For this purpose, you can use a powerful PowerShell script created by Paul Cunningham — https://goo.gl/k3q86M ​ — that scans Exchange 2016 and produces a list of all the exclusions that follow MS recommendations. Cunningham had originally created the script for Exchange 2013, but when Exchange 2016 was released, he updated it for the newer version. So, if you have already used the script before, you will be able to use it easily, for both the 2013 and 2016 versions are quite similar. Migrating public folders from one Exchange version to the next is no mean feat. Unless you are adept at using scripts and PowerShell commands it can be a real challenge. One major change that’s noticeable in the new Exchange program is the replacement of Public Folders with mailboxes. While it has eliminated the need for public folder replication, you also have to learn a few new steps in the migration process. Microsoft Technet — https://goo.gl/er1e2E — has provided the directions for the same here that you can refer. However, make sure you are comfortable with using scripts before you begin. Also, it would a good idea to create a backup first so that if something goes wrong, you can restore your files easily. The way how Microsoft has been refining and upgrading its Exchange programs is certainly commendable. However, unless you make yourself familiar with the changes and learn how to use PowerShell scripts, you can’t use the program to its full potential. Data Deposit Box is here to help you not only with your cloud backup and recovery needs, but also with your Exchange Server needs. Recent trends suggest that Hybrid Cloud is the way to go. And why not? It allows you to make the most of your in-house IT resources with a robust public cloud system. You can also easily alternate workloads between both environments. According to the research firm IDC, the global cloud market — which includes private, public and hybrid cloud systems — would cross $200 billion by 2018. This should give us an idea of the potential the technology has. However, before you jump in with both feet, it is imperative that you overcome the obstacles of data security first. Private cloud storage allows you to have full control on the data mobility and security. You can install and customize cloud security features according to your requirements, and have a peace of mind that everything is how it should be. Most importantly, you decide who should be assigned the task of network monitoring and preventing data breaches. Finding the right Hybrid Cloud partner, who sees eye to eye and can offer the level of virtualization and security you are looking for, can be challenging. That being said, if you are patient and research well and look hard enough, you can eventually find the perfect match. Due to increasing popularity of Hybrid Cloud backup services, many of the top datacentre vendors have forayed into the technology. In fact, many fortune 500 companies have rolled out their own Hybrid clouds. However, despite being built on well-established technologies, you can’t always expect top performance and reliance from the cloud. The 2014 Microsoft’s Azure cloud service incident is a prime example of that, when an outage lasted for many hours and left organizations helpless. It is important that you take Service Level Agreements (SLAs) very seriously when choosing a provider as your data is critical, and you need to be compliant to data protection rules. Network Security: Vendors can deploy the best security measures, like firewalls, anti-virus programs, etc. Plus, they must monitor the network 24/7 to detect intrusions and hacking attempts. Virtualization Security: Apply security at VMM levels, ensuring optimized instances, system performance, and resources. Application Security: Apart from monitoring access control, they also have to encrypt the data transferred across the network for security purposes. Proper measures have to be taken to prevent any leakage of unauthorized information. System Security: Monitor files and folders for security and report if there is any issue, ensuring compliance. While the vendor plays their part in creating a reliable cloud backup system, you as a client, should also need to implement best-in-class security policies that can protect your network environment and data from unauthorized access. Hybrid cloud computing can be of great advantage if used properly. Otherwise, it could also lead to a disaster. Thus, choosing the right vendor or MSP is very important. Make sure you explain your short-term and long-term goals and state your expectations clearly to the vendor to see if they can fulfil your requirements. Insist on seeing the vendor’s certifications and its security procedures. Unless they convince you wholly and you feel very confident in the apps and systems presented to you, there is no reason to settle with them. DDB would love to help you with your hybrid migration needs any time. Please contact us today. If there is one thing that is highly characteristic of new PC systems, it is how fast they boot up when you turn them on. 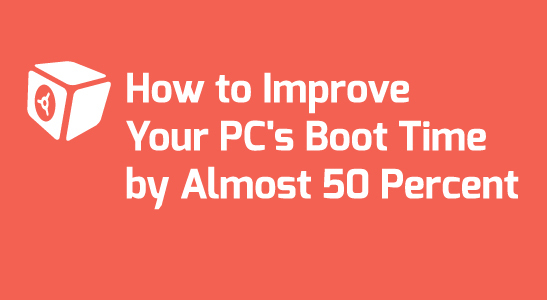 However, as weeks turn into months, you will start noticing that your PC doesn’t startup as fast as it used to be, and the annoyance increases with the increasing boot time. In fact, computers that take as long as full three minutes before finally displaying the desktop are fairly common. Tweaking the default settings of BIOS can also reduce startup time. For instance, you can move the boot drive to the “First Boot Device” position in the menu. If there are other boot devices that you don’t use, such as CD, USB, etc. you can disable them as well. Enabling Fast Boot option also allows you to skip on several tests (mostly unnecessary) that your system runs at the time of booting. If you are still using Windows 7, or god forbid Windows XP, then perhaps it is time to upgrade your system. While Windows 10 is an obvious choice to go for as it’s the latest OS released by Microsoft, if not that then you should at least upgrade to version 8.1. You will observe a huge difference in the system performance. This may not be the cheapest option on the list, but it sure is the most effective. Solid State Drives are much faster than your traditional hard drives. A number of benchmarks published show that by switching to an SSD alone, you can reduce the boot time by almost 50 percent. Although SSD are indeed more powerful and faster than the typical drives, they can be quite expensive. Thus, instead of investing in a large capacity SSD, you can get a starter variant (120GB or 320GB perhaps, or 1TB), and make it the primary drive for your PC. While the data transfer rate will be largely unaffected this way, the boot time will surely improve. Irrespective of whether you are using an SSD or not you can always benefit from disabling unwanted startup programs. These are the programs that the OS launches when you boot your computer. If many such programs are enabled, then the system can take a long time to start. Fortunately, disabling these programs is easy. All you have to do is launch the task manager and select “Startup” from the menu. Here you will find the list of the programs that are “enabled”. You can disable those you don’t need to use often, or don’t mind starting yourself later. Depending on the number of programs and their startup impact you can easily save up to a minute or more on the boot time. If all the above tricks won’t make a difference on the speed, we suggest that you replace the computer. Changing boot menu timeout values. As far as your cloud backups are concerned, remember that if your computer is faster, your backup jobs could also be processed faster and get completed quickly, giving you more time to focus on other tasks.